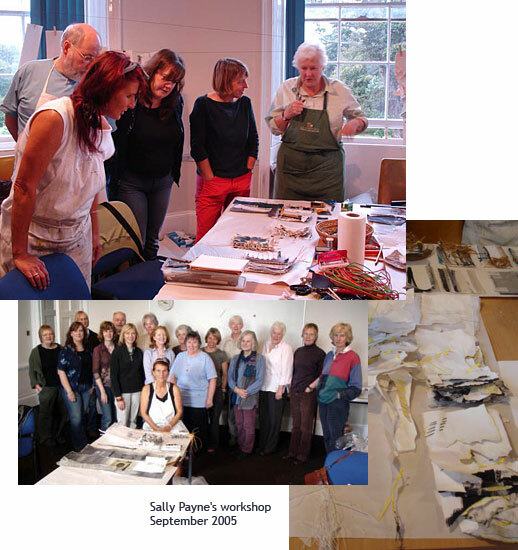 Eighteen edge members enjoyed an inspiring weekend workshop at Newbattle Abbey College in Midlothian near Edinburgh with Sally Payne, a well-known and highly respected textile artist who has taught extensively and exhibited in many prestigious exhibitions. The theme of the workshop was, appropriately, ‘Edges’ and the participants were taken through a series of design exercises on that theme over the course of the two days. Sally’s ideas are always inspiration and made the participants think in a new way about edges. All participants enjoyed the experience and some interesting designs resulted.